Oriental Trading FREE SHIPPING plus Halloween costumes for $6! You are here: Home / online shopping / Oriental Trading FREE SHIPPING plus Halloween costumes for $6! Oriental Trading has FREE SHIPPING on ANYTHING through 9/19! 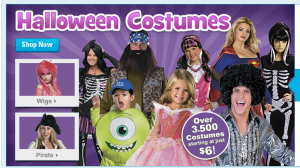 They’ve also got some GREAT deals to get you ready for Halloween including over 3,500 Halloween costumes with prices starting at $6! Enter the code FDFW38 at check-out to get free shipping. You can also score great deals on Halloween crafts! These are perfect for play groups, a crafts day, or just for some fun with your kids! You can also score deals on party favors and treat bags! 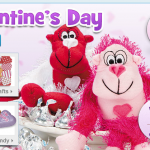 Oriental Trading Company FREE shipping on ANY order! 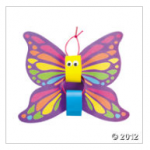 Another bargain: Free shipping, no minimums @ Oriental Trading company! 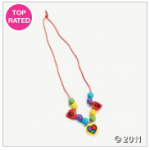 Oriental Trading Company: FREE SHIPPING plus deals on craft kids, party favors, and more! Oriental Trading Company – FREE SHIPPING plus cash back! Free 2011 Oriental Trading Company calendar!